FTTH, or Fiber To The Home, is the delivery of a communications signal over optical fiber from the operator’s switching equipment all the way to a home or business, replacing existing copper infrastructure such as telephone wire and coaxial cable. FTTH Fiber Cable is a relatively new and fast growing method of providing vastly high-speed broadband services integrating voice, data and video to consumers and businesses. Fiber Optic Cable is proved to deliver bundled or individual data, voice and video services to the home more efficiently-and securely-versus traditional copper transport mediums. We are all aware of slow dial-up frustrations, DSL outages, and coax cable issues (Broadband-Cable TV). Once fiber optics deployed- as an end to end solution- all these inherent problems associated with copper /coax based transport factilities virtually disappear. 5. Low smoke, zero halogen and flame retardant sheath. 3. Interconnect between instruments, communication equipments. The key advantage with FTTH connectivity is that it provides faster connectivity at high speeds and great amount of communication signals than the conventional copper cables. It is estimated that while only six phone calls can be transmitted via a copper cable, more than 2.5 million calls can be sent through FTTH. Experts are also hoping that this network can easily support the futuristic technologies like high definition television and gaming transmissions. 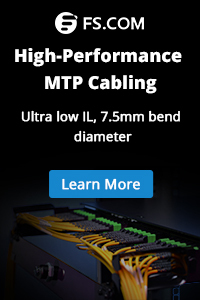 FTTH can be installed as a point-to-point architecture, or as a passive optical network (PON). Installing it is cost-prohibitive, and the monthly charge for broadband services thereafter can also be off-putting, though these figures vary widely. Expense is likely to drop with time as fiber becomes more common. FTTH drop cables are good to use for fiber to the home last mile solution, we provide FTTH drop cable with different counts from 1, 2, 4, to 12. This cable adopts the popular design in the industry, its structure and performance is optimized for FTTH applications. FTTH indoor cables are used inside buildings or houses; it connects to the FTTH user end equipment. Along with the fast development of the fiber optic networks and broadband LANs, FTTH indoor cables are more and more used to meet the requirement for optical fiber to be deployed to the homes and houses. Indoor use FTTH cables have the same function of the common indoor fiber cables, but it does have some special features. FTTH indoor cables are small diameter, water-resistant, soft and bendable, easy to deploy and maintenance. Special indoor FTTH cables will also meet the requirement of thunder-proof, anti-rodent or waterproof. Fiberstore has long history providing the FTTH cables. Our FTTH cables are all LSZH types and flame retardant, they meet the RoHS standards and with super optical performance. We provide a series of FTTH solution products like FTTH Indoor Cable, FTTH drop cable, armored FTTH duct cable, etc. Welcome to contact us for your requirements of FTTH products. This entry was posted in FTTH Network and tagged armored FTTH duct cable, FTTH drop cable, FTTH Fiber Cable, FTTH Indoor Cable. Bookmark the permalink. How to Choose Boot Cover and RJ45 Plug for Cat5e, Cat6, Cat6a Bulk Ethernet Cables? What Is Open Networking and How Does It Benefit Customers? 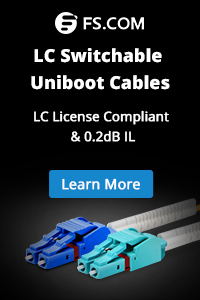 Why Cumulus Linux Is Popular Among White Box Switches?